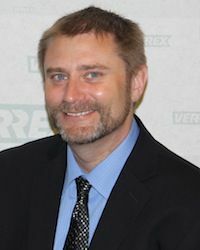 Verrex, a global design-build integrator and managed services provider of conferencing, collaboration and presentation technologies, has appointed Fred Maguire for the company’s Southwest region as senior sales executive. Maguire will provide Verrex’s suite of videoconferencing and AV systems design, integration and managed services solutions to the corporate market and will report directly to Verrex vice president of sales, Bill Chamberlin. In addition, Erik Dykes, CTS, has joined as sales executive for the New England region. In this demand-created role Mr. Dykes will be responsible for selling Verrex’s portfolio of AV systems design, integration and managed services solutions to the corporate market. He will report directly to Bill Chamberlin. Maguire has an established career in a broad range of technology fields, focused on strategic marketing and sales planning globally. Most recently he was director of sales and marketing at Flotation Technologies Inc., responsible for serving the oceanographic, seismic, military and offshore industries. Other career highlights include director of marketing for Video Network Communication, Inc., inside sales manager of Vitts Networks and senior account representative for Fuller Jeffery Broadcasting. Maguire is an active member of the Society of Underwater Technology and Society of Exploration Geophysicists. Dykes has an established career in the ProAV industry. Most recently he was sales engineer at CCS Presentation Systems, responsible for the full life-cycle of AV system sales. Other career highlights include sales engineer at AVI-SPL and sales & installation manager for Automated Home Solutions. Dykes has earned the Certified Technical Specialist (CTS) designation from InfoComm International. Maguire is based out of Verrex’s Southeast office in Houston, Texas and can be reached at +1 713 402 1960 or by email at fmaguire@verrex.com.